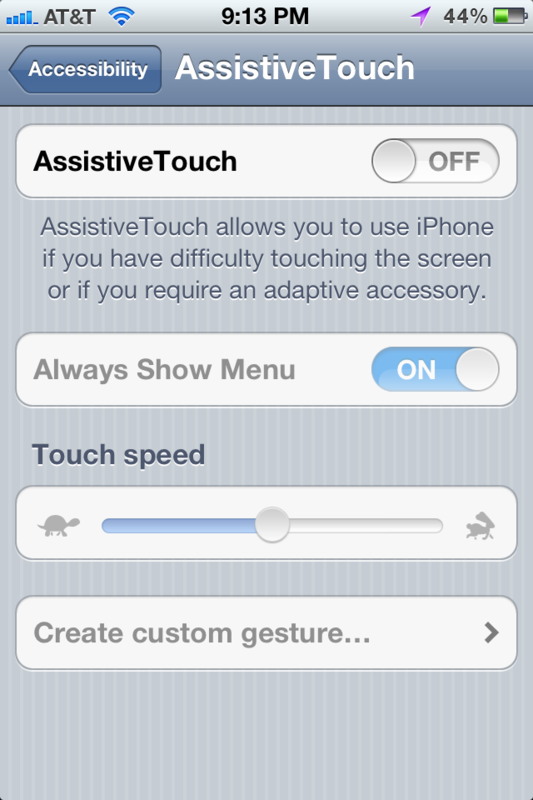 The 3rd Beta of iOS 5 has been released and one of the new features is called AssistiveTouch. 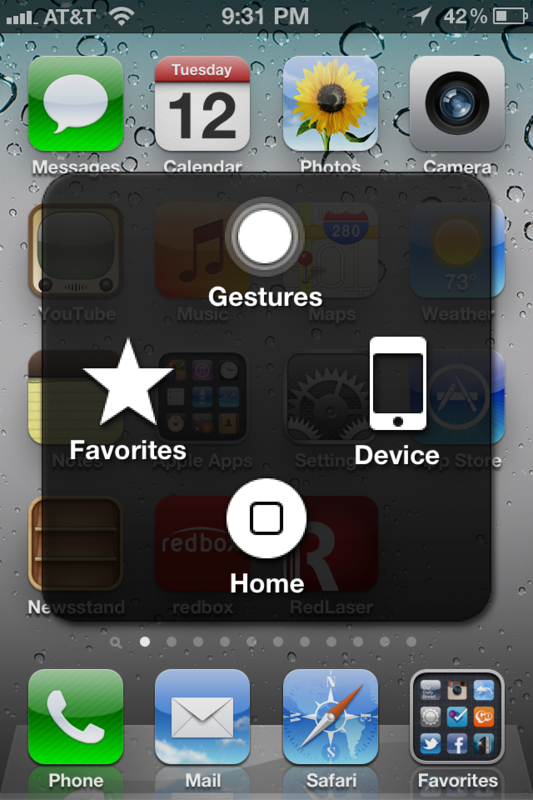 This adds a pretty sweet set of features to the iPhone, iPad or iPod touch. 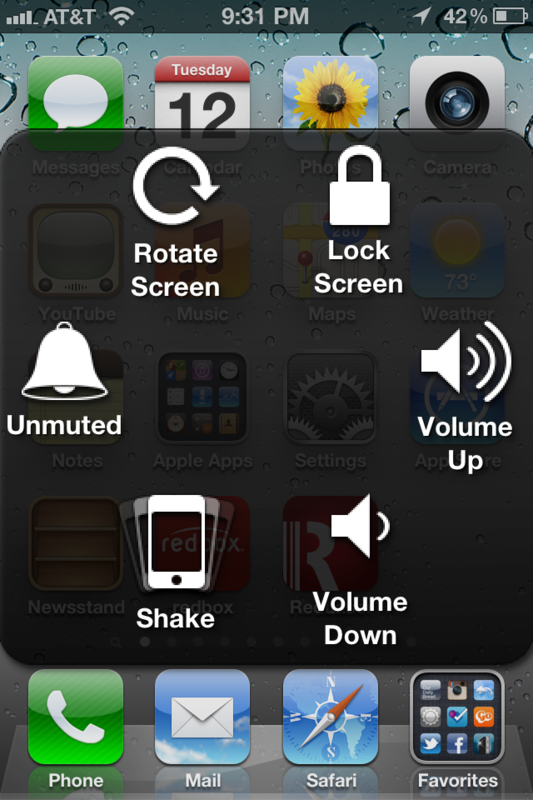 It creates a little draggable dot on your screen that gives you quick access to features like the home button, rotation lock, mute, volume, etc. Check out this video showing how some of the features work. I wish this site would update more frequently. 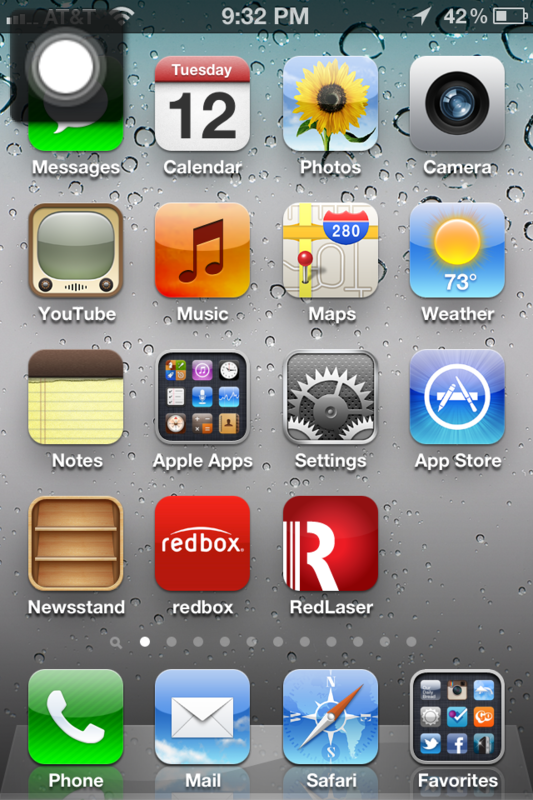 There was a time when Apple iPhone School was the definitive iPhone site. it isn’t anymore. 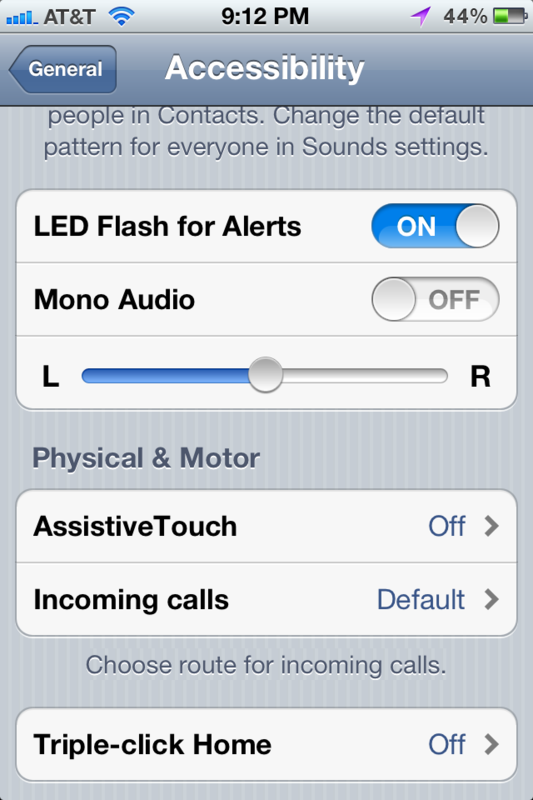 Now it just seems to putter along and somehow focus on iOS 5.0 and not much else. What happened to the writers who were brought in a couple of years ago? The sad part is that it’s hard to find any responsible iPhone reporting on the web now. What’s left is forums with wild predictions about what’s coming from people with no idea. I agree. I used to visit every day to find new apps and info on the iPhone and now I think I visit maybe once a month…unless I’m EXTREMELY bored and then perhaps once a week….but even then, there usually isn’t anything new on the site. Life has gotten busy for the AIS team. This app is the best way to learn the basics of HTML and iWebkit right on your device! You can also get this app on the Android Market, and the App Store very soon! The new features are awesome!! 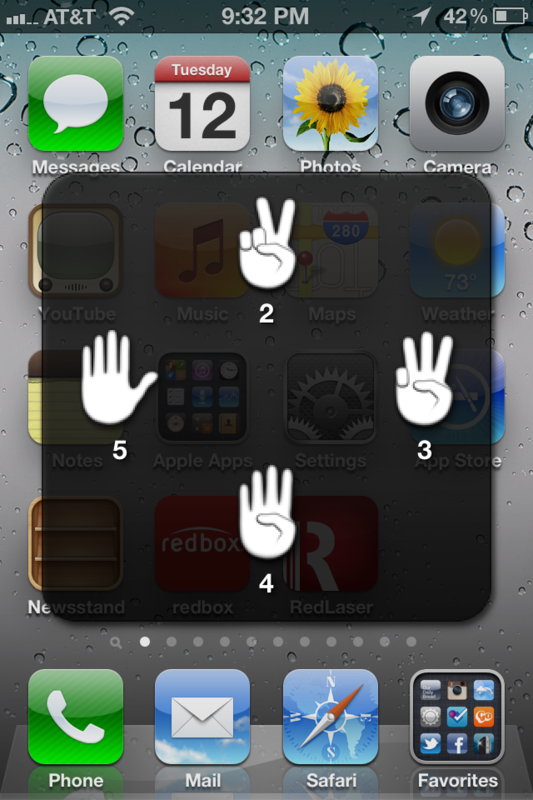 I like the video and the post with full of new assistivetouch iOS 5 features. But i want to point one thing that, this blog should be updated regularly, so that we can know about the latest iPhone technologies soon. People who choose Gulf shores vacation rentals do so for many reasons. You can find camping-related items in most local department stores, home improvement centres, groceries and of course the specialized outdoor equipment stores. felt will tend to reduce as you get familiar with the car and get used to it. Luxury Travel is top of the list on your holiday spec this year. success by purchasing a Rolex, Movado, Ball Watch, or any other overpriced timepiece.